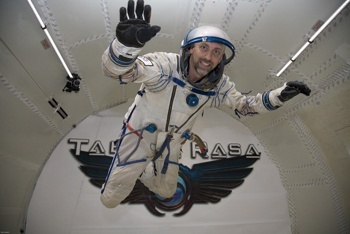 Richard Garriott is dead serious about making Sweet @$! Poker the best Texas Hold 'Em game on Facebook, but says what really motivates him is the chance to create new "Ultima-esque" games in the future. We zinged Garriott a little bit last week over his involvement with Portalarium and, more specifically, Sweet @$! Poker, a Texas Hold 'Em card game currently running on Facebook. Setting aside the fact that the world needs more Texas Hold 'Em like it needs a hole in the head, what was one of the most famed game designers in the world doing spending his time making a Facebook card game? Making it the best Facebook card game he possibly could, apparently. "Just go compare the qualitative aspects of our poker game to the qualitative aspects of the ones that are already kicking the butts of every game they've ever played from a financial standpoint," he told Kotaku. "And I believe it will be very clear from a little inspection why ours is tangibly easier to use, faster to load , faster to install, smoother graphics, everything." The man clearly takes this game seriously. In fact, Garriott believes that casual gaming, which he describes as games that anyone can play at any time, is poised to dominate the industry and he sees Portalarium as an opportunity to help pioneer that evolution. "If your favorite game could have been delivered in a way to where you didn't have to make an up-front investment, you didn't have to read the instructions, you could just sit down and play it; it was available just by somebody sending you a link; and only after you played it and were hooked on it would you then have to pay for it, I guarantee you that would be a game you would find even better than your current favorite game," he said. "And yet you just would have met the criteria of what I think is important in this casual gamer framework." But it's also apparent that Sweet @$! Poker is just the first step on a longer journey. Garriott said the game is so much better than its competitors "because of the foundation we decided to build upon," that being the cross-platform Portalarium Player software, which proved that high-quality games could be made and launched through sites like Facebook. But "his" game, he added, is yet to come. "Today we're talking about the Portalarium. We have yet to announce quote-unquote my game," he said. "What motivates me is to go back and make Ultima-esque, familiar Ultima-esque games. But I believe the right place is to do that on this platform." We can only hope that when it does come time to announce quote-unquote "his" game, the words Ultima Underworld 3 will figure prominently. Are you reading this, Richard?